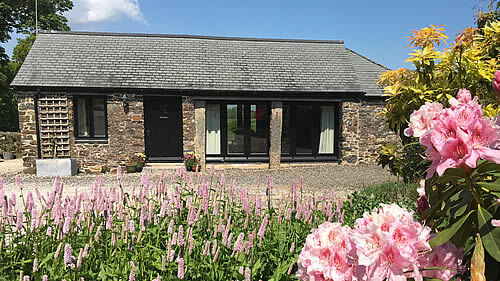 Monkstone Holiday Cottages nestle on the hillside below the famous 13th Century Brentor Church, one of Devon&apos;s most distinctive landmarks. Both self-catering cottages are finished to a high standard throughout, are dog friendly and have level access and off road parking. 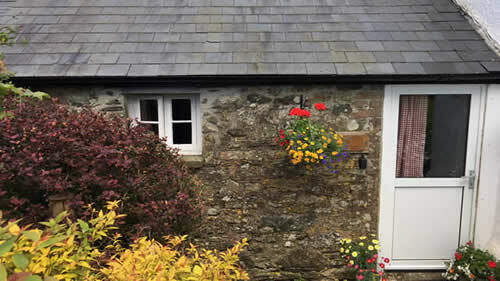 Monkstone Cottage is a delightful Devon barn conversion. Sympathetically converted and retaining much of the original character, it boasts plenty of room, a big fire place, private garden and lovely views across the valley. It&apos;s a great place to chill out in the peace and quiet for a lazy day in the garden, or to come back to and put your feet up after a long walk on Dartmoor. Honeysuckle Cottage forms part of a 16th century Grade 2 listed Medieval Devon Hall House. It offers a well-appointed kitchen, beautiful garden and a cosy fireplace to snuggle up in front of after a long day exploring the Devon countryside.